Since 19 April, two North Fish restaurants, located in Bydgoszcz at Zielone Arkady and in Poznań at Galeria Malta, have been remodelled to the Easy format. Both these branches stand out thanks to their simplified menu and fast service. These are also the first North Fish restaurants in Poland to introduce a weight system. 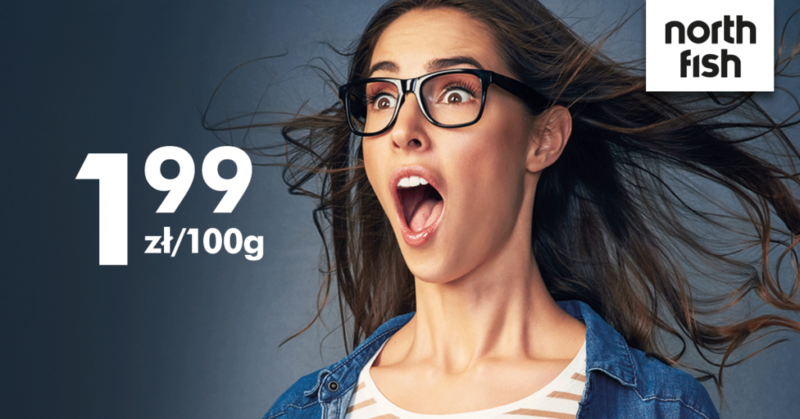 Customers can now choose extras by weight, at the exceptionally competitive price of 1.99 zł per 100 g.
“At two of our restaurants – at Malta in Poznań and Zielone Arkady in Bydgoszcz – we are trialling the sale by weight of hot and cold extras. Our customers will of course be able to buy just fish, in the ALL YOU CAN EAT format, but from 19 April they can also have extras with the fish, or just the extras. This is an excellent opportunity for those who fancy some fish with a smaller side portion of extras, or those who want a nice vegetarian meal,” says Tomasz Rurarz, Marketing and Development Director at North Food Polska S.A.
North Fish is a chain of restaurants specialising in fish and seafood. The first was opened in 2002 in the Galeria Echo shopping centre in Kielce. Currently North Fish operates 41 restaurants located in Poland’s best shopping centres, which makes it the country’s unquestioned leader and Europe’s second largest, chain of restaurants offering fish and seafood. Each day nearly 1,000 employees take care to ensure the highest quality of the products served.